OPERATIONAL USE OF IMAGERY FOR POST-DISASTER OPERATIONS. Satellite or aerial photography, especially when combined with a good GIS database of an area, can provide critical information for emergency managers, including damage to structures, transportation and communication links, and other "life-line" infrastructure components. 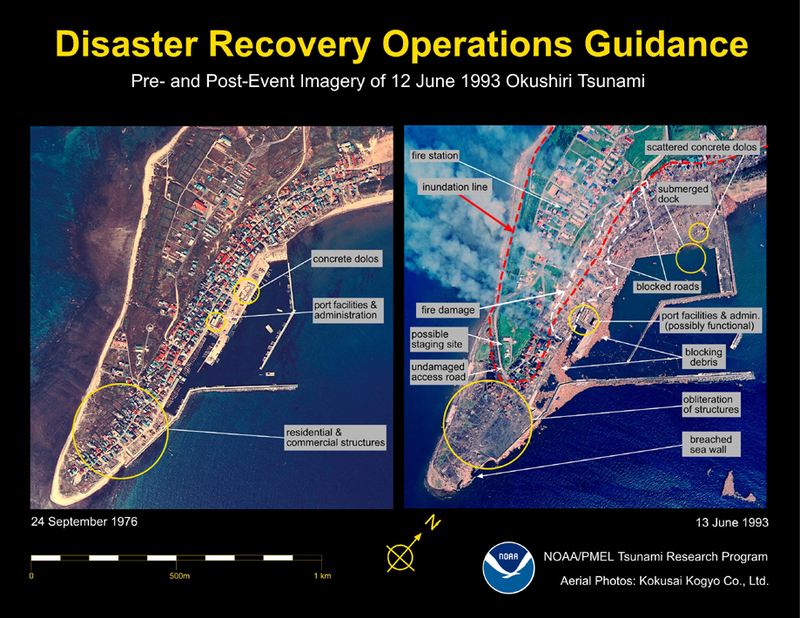 These are air photos of Aonae town taken before and after a tsunami struck Okushiri Island, Japan, on 12 July 1993, killing more than 200 persons. version RESEARCH USE OF IMAGERY FOR IMPROVEMENT OF MODELS. 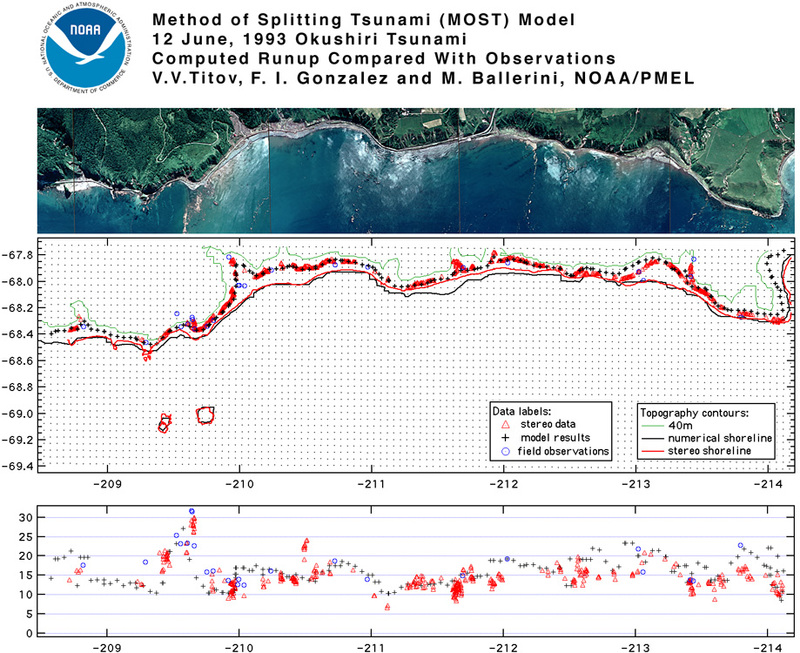 A detailed stereophotogrammetric analysis of aerial photos taken after the 12 July 1993 Okushiri tsunami yielded (X,Y,Z) values of the inundation line on coastal bluffs, formed by violent tsunami currents that stripped vegetation. The resulting database is much more extensive and complete than data collected by field surveys because field survey teams are frequently hampered by time constraints on members and transportation and communication limitations that can exist in a post-disaster environment. Top panel: aerial photo of the coast. Middle panel: plan view with 416 stereophoto, 46 field survey, and 175 numerical model inundation estimates. Bottom panel: vertical inundation estimates, indicating good model/observation agreement.